Beautifully hand made goose feather hairpiece in ivory with a vintage style 1920's look rhinestone centre. This piece comes on small silver crocodile clip. 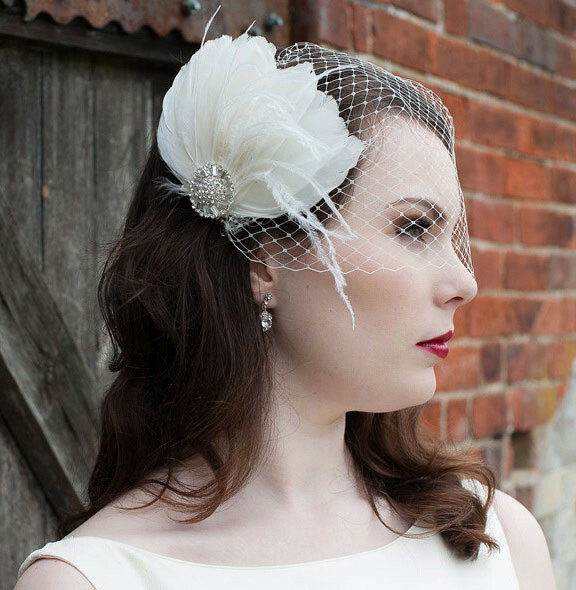 The feather hairpiece comes alone or why not style with a bandeau veil, mini birdcage veil or birdcage veil. Shown with a bandeau veil on model.